The opposition Peoples Democratic Party (PDP) has won Benue, Sokoto and Bauchi States in supplementary elections held Saturday, while Kano and Plateau States went to the ruling All Progressives Congress (APC). Following the March 9, 2019 elections, the Independent National Electoral Commission (INEC) had declared polls inconclusive in the affected states. The commission yesterday announced Sokoto State Governor Aminu Tambuwal winner by a small margin of 342 votes. According to Returning Officer Fatima Mukhtar, Tambuwal secured the highest votes of 512, 002, defeating his rival, APC’s Alhaji Ahmad Aliyu, who polled 511, 660 votes. But rejecting the result, APC spokesman in Sokoto, Bello Danchadi, described the process as fraught with irregularities. “We draw the attention of INEC to a number of polling units that were cancelled as a result of violent attacks by thugs, while others were arbitrarily cancelled to please certain political party interests. In view of these, we deem it necessary to express our disagreement with the action taken by INEC to declare a winner without giving us a fair hearing on our position in the electoral processes,” he said. In Bauchi State, Returning Officer Muhammed Kyari announced that the PDP polled 6,376 votes, while the APC had 5,117. PDP’s Bala Muhammed had scored 469,512 votes while the incumbent APC governor, Muhammad Abubakar, got 465,453 votes in the main election before the Tafawa Balewa Local Government Area (LGA) result was declared inconclusive. The winner however could not be declared, as the outcome of the Tafawa Balewa LGA is currently the subject of a suit. Benue State Governor Samuel Ortom polled 434,473 votes to defeat his closest rival, Emmanuel Jime, of the APC, who had 345,155 votes. Jime has however rejected the result, vowing to challenge it at the Elections Petitions Tribunal. “The results announced in favour of Governor Ortom and the PDP is a direct product of brutal violence, vote buying, ballot-stuffing, results-falsification, non-use of the card reader and a range of other irregularities that have no place in our electoral laws. We are making it unequivocally clear that the Benue APC will explore all constitutional and legal options available to ensure the votes of the people count,” he said in a statement. Plateau State Governor Simon Lalong was also declared winner, having polled 595,582 votes to defeat PDP’s retired General Jeremiah Useni, who got 546,813 votes. 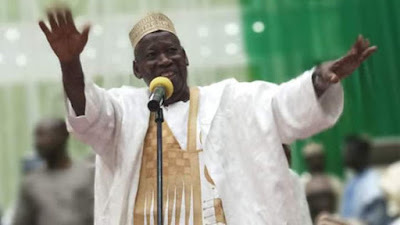 In Kano State, Governor Abdullahi Umar Ganduje defeated Abba Kabiru Yusuf of the PDP and was declared winner with an average marginal difference of 8,982 votes. Declaring the merged results of the March 9 and 23, 2019 results, Returning Officer Bello Shehu said the APC candidate polled 1,033,695, defeating Yusuf who scored 1,024,713 votes. A rowdy session erupted at the collation centre as PDP and APC agents traded words over the results of Gama Ward in Nasarawa Local Council. While member of the House of Representatives from Dala Federal Constituency Ali Madakin-Gini described the result as fraudulent, senator-elect representing Kano North Barau Jibril insisted the poll was peaceful and fair, urging the opposition party to seek redress at the tribunal. The PDP however rejected the result, saying its candidate is the rightful winner. “The whole world knows that the PDP and its candidate, Abba Yusuf, won the Kano State governorship election since March 9, 2019, having fulfilled the constitutional requirement of securing the highest number of votes and the statutory 25 per cent in two-thirds of the state,” the party said in a statement signed by National Publicity Secretary Kola Ologbondiyan yesterday. It said: “The so-called governorship supplementary election in Kano is a national disgrace and a mere figure allocating exercise by compromised INEC officials, who collaborated with power drunk politicians in the APC to award results to the APC candidate. “The people of Kano State have a long history of firm resistance against corrupt and oppressive forces. Their will must therefore not be stretched in this election. Meanwhile, the supplementary election has drawn criticism, with monitoring body, the Nigeria Civil Society Situation Room, saying violence, underage voting and widespread vote buying marred the exercise. Addressing a press conference in Abuja yesterday, Head of Situation Room Clement Nwankwo said the incidents could be linked to the massive deployment of unaccredited political agents to polling units. The group particularly expressed dismay over violence in Kano State. “Reports received from our observers showed instances where security personnel, most especially the police and the Nigeria Security and Civil Defence Corps (NSCDC), watched challenging security situations with inaction. This was observed in Beli Ward in Rogo LGA and Gama Ward in Nasarawa LGA. Also, pro-democracy and non-governmental organisation, Human Rights Writers Association of Nigeria (HURIWA), described the Kano rerun as a “spectacle of fraud” marred with violence. In a statement signed by National Coordinator Emmanuel Onwubiko in Abuja yesterday, HURIWA dismissed claims by Deputy Inspector General of Police (DIG) Michael Anthony Ogbizi that the election was peaceful. It said this was contrary to extensive proofs that showed the reign of violence meted out to PDP supporters. Non-governmental organisation, Civil Society Legislative Advocacy Centre (CISLAC), on its part, called on INEC to discountenance the Kano rerun and return to status quo. “We find it worrisome that without an iota of respect for the rule of law and democratic values, a large population of hoodlums was unlawfully deployed to disrupt electoral process and deprive voters the right to exercise their electoral freedom through free, fair and credible process,” it said in a statement by Executive Director Auwal Ibrahim Musa in Abuja.